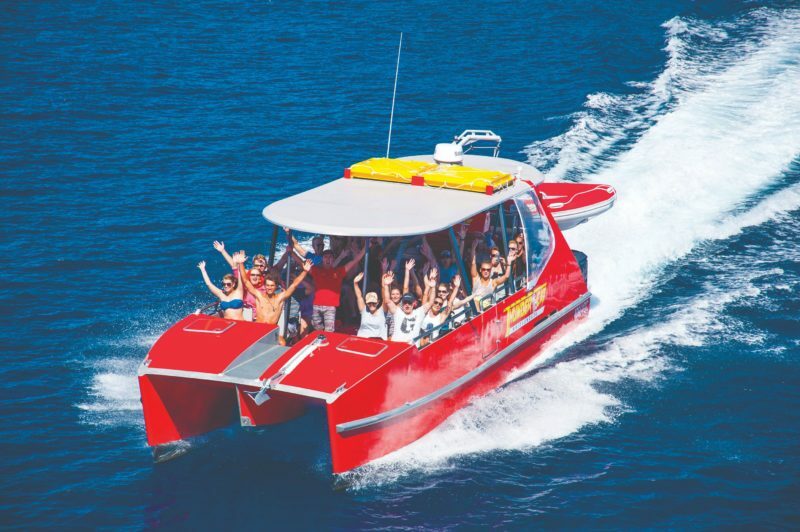 Thundercat Whitsundays is an exhilarating day boat that suits a wide range of travellers, including singles, couples, groups and families. 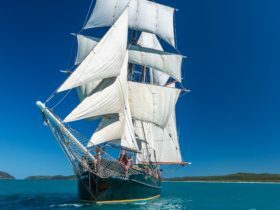 Tongarra Whitsundays Sailing Adventures is a two-day, two-night sailing experience aimed at fun-loving backpackers travelling on a budget. Ride to Paradise is an all-inclusive two-day, two-night resort stay package showing travellers the best of the Whitsundays. This tour offers serenity and stars by night and once in a lifetime experiences during the day. Paradise Cove Resort is a privately-owned estate at Woodwark Bay, surrounded by 10000 acres of National Park. The resort brings peace through the natural beauty of absolute oceanfront tropical gardens and fringed by white sand and towering coconut palms. All Red Cat products offer travellers the opportunity to swim in crystal clear waters and snorkel in sheltered bays. Leave footprints on Whitehaven Beach and enjoy a guided walk through the Australian Bush. Guests will see the iconic swirling sand at Hill Inlet and get to take those ‘once in a lifetime’ photos. Thundercat offers an exhilarating ride around the Whitsunday Islands all in one day. 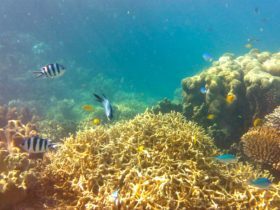 This tour visits the world famous Whitehaven Beach, Hill Inlet lookout and offers two snorkelling opportunities on the fringing Great Barrier Reef. 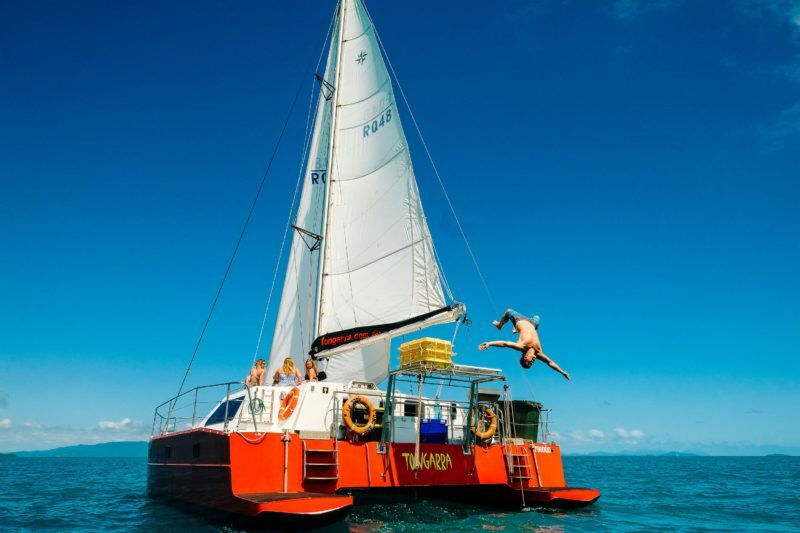 Thundercat is one of the fastest catamaran in the Whitsundays and has been designed for stability and speed so it’s perfect for passengers who are concerned about seasickness. 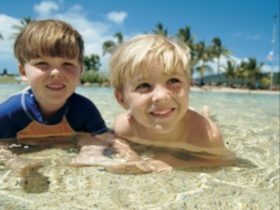 The all-inclusive package departs from Airlie Beach and is suitable for families, couples and groups wanting to experience once in a lifetime moments. Age range from four years old and above. 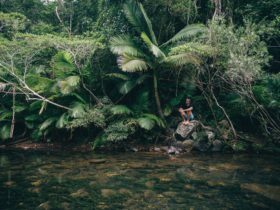 Tongarra offers a two-day two-night social sailing experience that’s perfect for the young, fun and adventurous backpacker. The all-inclusive package visits the best destinations in the Whitsundays including Whitehaven Beach, Hill Inlet Lookout and snorkelling at pristine locations on the fringing Great Barrier Reef. The experienced crew are handpicked for their knowledgeable and friendly attitude and happily prepare top-quality fresh meals on the barbecue. Guests can also enjoy a banana boat ride for an added adrenaline rush and adventure with friends. Tongarra has an outstanding reputation for being great value for money and exceeding expectations. So, grab your swimwear, iPod and camera and enjoy a few drinks while you are shown around the Whitsunday Islands. Suitable for ages 18 – 35 years only. Ride to Paradise is the ultimate two-day two-night resort stay package around the Whitsunday Islands. The all-inclusive combo departs from Airlie Beach and offers an exclusive two nights’ accommodation at the multiple award-winning Paradise Cove Resort. 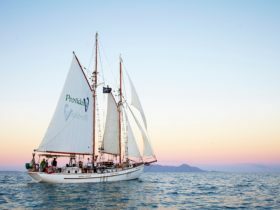 The custom-built vessel offers a comfortable and smooth ride to Whitehaven Beach, Hill Inlet Lookout and snorkelling at pristine locations on the fringing Great Barrier Reef. 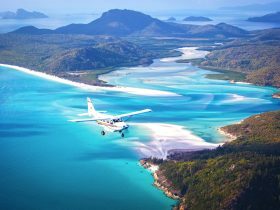 “Fly to Paradise” is an optional extra which includes a one-hour Great Barrier Reef and Whitsundays scenic flight that arrives at Paradise Cove Resort. 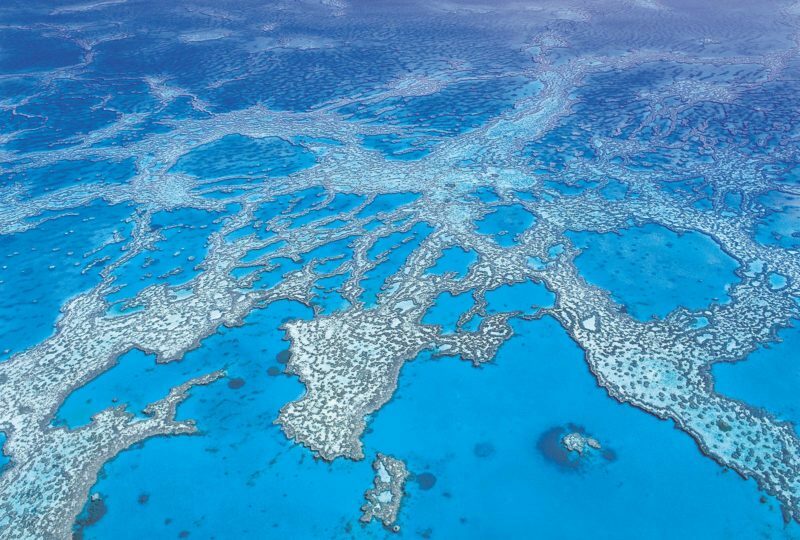 Ride to Paradise is the unique overnight resort stay package around the Whitsunday Islands. The all-inclusive combo departs from Airlie Beach and offers an exclusive night’s accommodation at the multiple award-winning Paradise Cove Resort. The custom-built vessel offers a comfortable and smooth ride to Whitehaven Beach, Hill Inlet Lookout and snorkelling at pristine locations on the fringing Great Barrier Reef. The vessel allows passengers to arrive at the destinations quickly with more time for activities such as sunbathing, swimming and exploring the Whitsunday Islands.